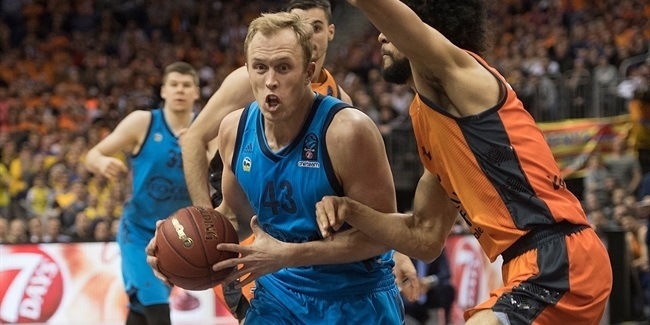 After a long, tough season, two teams - Galatasaray Odeabank Istanbul and Strasbourg - prevailed and went all the way to the Eurocup Finals, starting in a couple of weeks. Both teams advanced suffering a lot in the last semifinals games in a week for the memories. 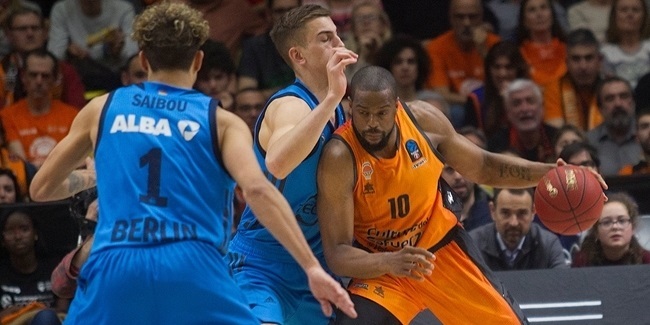 It was so close that Herbalife Gran Canaria Las Palmas fell only two points short of being in the final for the second consecutive season, as it still won Game 2 against Galatasaray, overtime included, which allowed DJ Seeley to become the last weekly MVP of the season with his index rating performance of 28, his best individual performance ever in the competition. Seeley netted 23 points, pulled 4 rebounds, dished 5 assists, had 1 steal and drew 7 fouls to be the best ranked player this week. Following him, Davide Pascolo of Dolomiti Energia Trento with a 27 and Romain Duport of Strasbourg with a 24. Seeley's 23 points, another career-high mark for him, also granted him the top spot of the list of best scorers of the week, but Pascolo was pretty close with his 22 points. Pascolo was also at the top of the rebounds rankings with a career-high mark of 13 (including 7 offensive) boards, and his teammate in Trento, Dominique Sutton, followed with 8. Two Strasbourg players led the best passers of the week as Mardy Collins and Louis Campbell had 7 and 6 decisive passes, respectively. 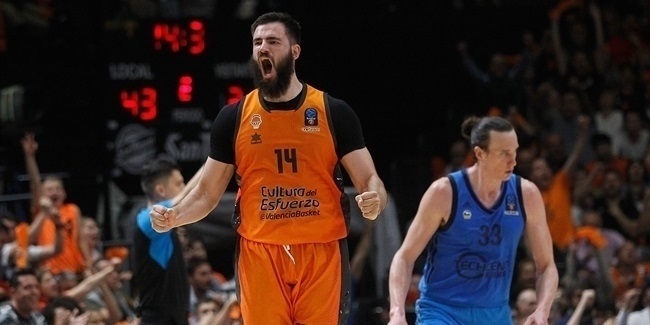 Jeremy Leloup of Strasbourg and Pablo Aguilar of Gran Canaria were the only players to have more than one steal with 2 each, while under the glass, Bangaly Fofana of Strasbourg and Luca Lechthaler of Trento also stopped 2 plays each to top the rankings.